Quirky NY Chick: Video of the Day: The Cars - "Free"
The Cars have released a video for "Free." The song is off of their latest albu m Move Like This that came out this past May. It's a live video that was shot this spring during the US tour. Check it out below. Move Like This, The Cars’ first album of new music in many years, is a vibrant and ingenious collection that expertly extends their already extraordinary canon. 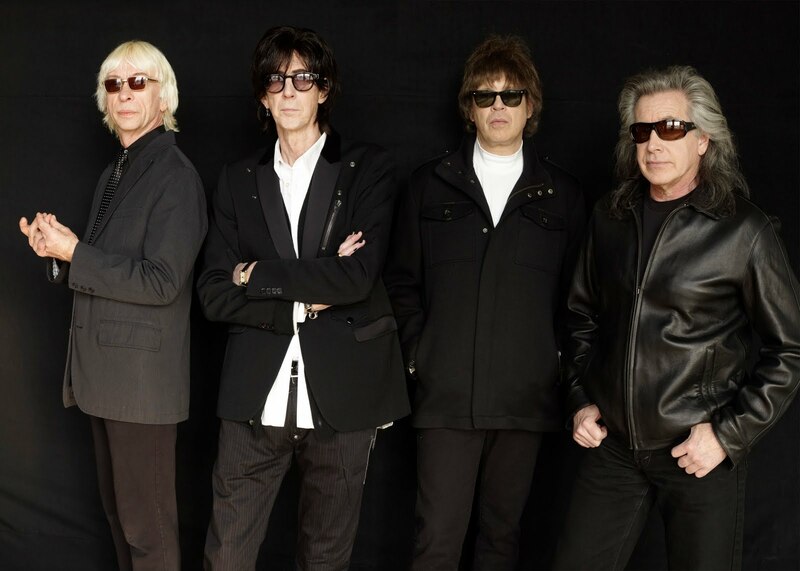 Retooling innovative art rock, sleek New Wave, and punchy power pop in their own idiosyncratic image, The Cars’ groundbreaking sonic approach continues to influence artists and airwaves today. Singer/guitarist Ric Ocasek emerged as a master songwriter with his enigmatic integration of evocative, beat-inspired lyricism with radio-friendly hooks and harmonies, fueling a multi-platinum body of work that includes such indisputable masterpieces as 1978’s self-titled debut and 1984’s blockbuster Heartbeat City. Move Like This reveals The Cars to be as creatively progressive and melodically poptastic as ever. Songs like “Blue Tip” and “Free” are invigorating and imaginatively wrought, with all the trademark elements in place, from Ocasek’s sardonic, man-machine vocalizing and Greg Hawkes’ swirling synths to Elliot Easton’s turbo-charged riffing and David Robinson’s pop-motorik beats. Brimming with confidence and imaginative energy, Move Like This boasts all the vitality and dynamism of a truly great rock ‘n’ roll band operating at the peak of their considerable power.